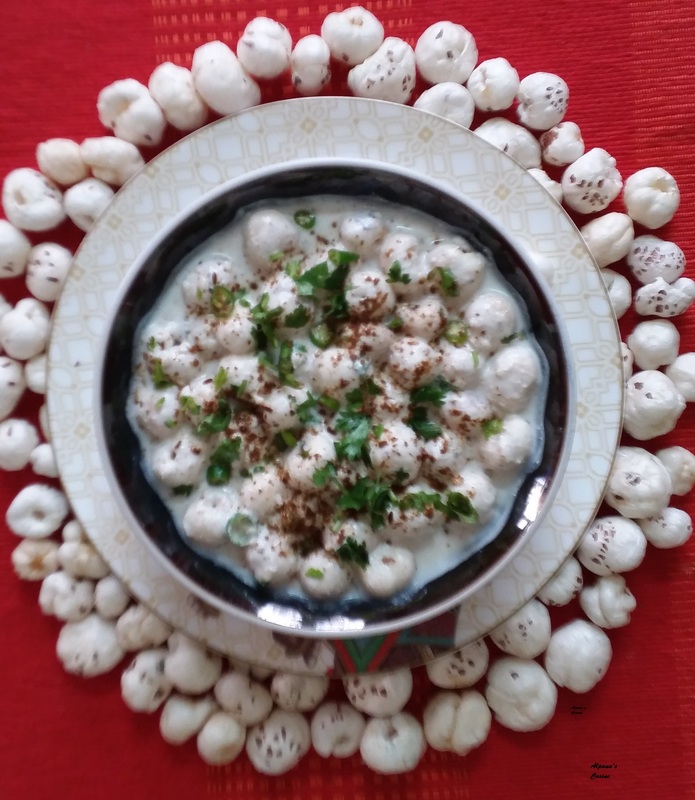 Makhana or Lotus seed has very nutritional value and health benefit.We can use makhana to make many tasty food.Makhana can be consumed raw,roasted combined with any vegetable or as dessert. Here i am giving the recipe of Makhane ka Raita ,please try this tasty and digestive raita. At the time of serving add roasted makhanas into the yogurt so that its crunchy texture remains .Makhana Raita is ready ,garnish with chopped coriander leaves.